This sword is a precise reproduction of an Oakeshott Type XIV, specifically XIV.7 from the book Records of the Medieval Sword by the weaponry historian Ewart Oakeshott. 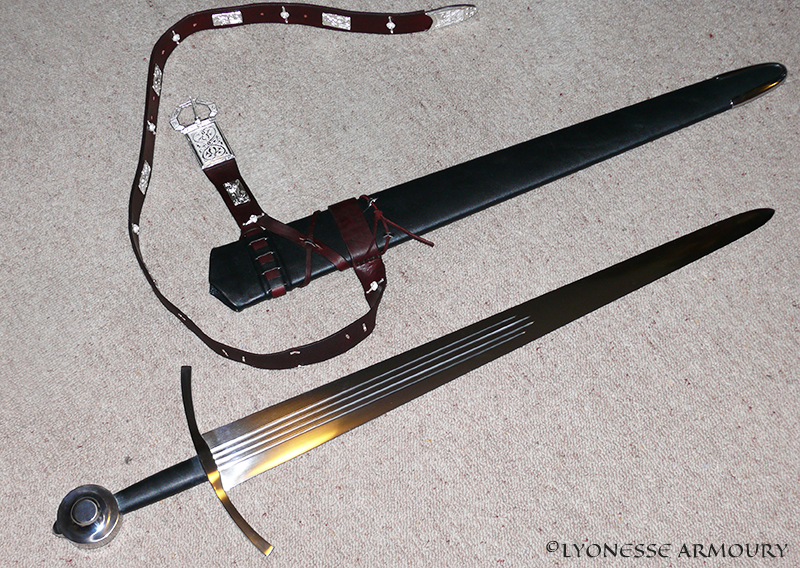 The Type XIV is a distinctive sword used between c.1275 and c.1340, with a short grip and wide but relatively short blade. This sword is a replica of one that was owned by Ewart Oakeshott himself, so he knew it well, and published it as XIV.7 in Records of the Medieval Sword. 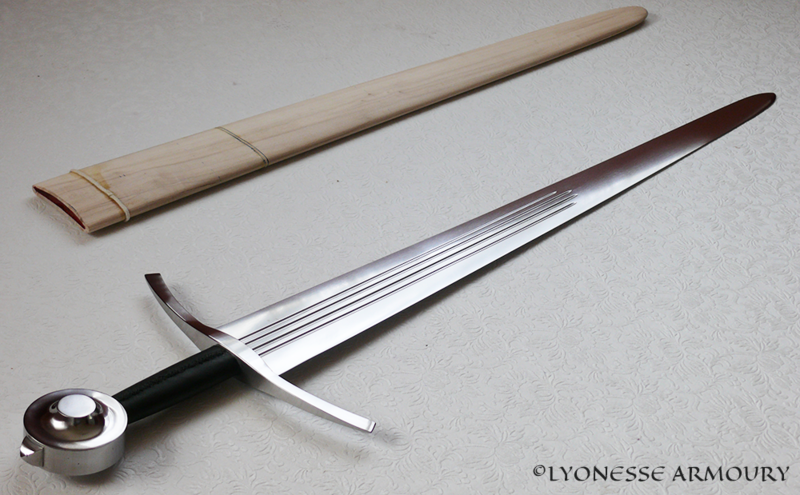 The real beauty in a sword like this is in the proportions and behaviour in the hand. It is a weapon for combat, not for show. The blade was made sharp, which allows correct weight and balance. 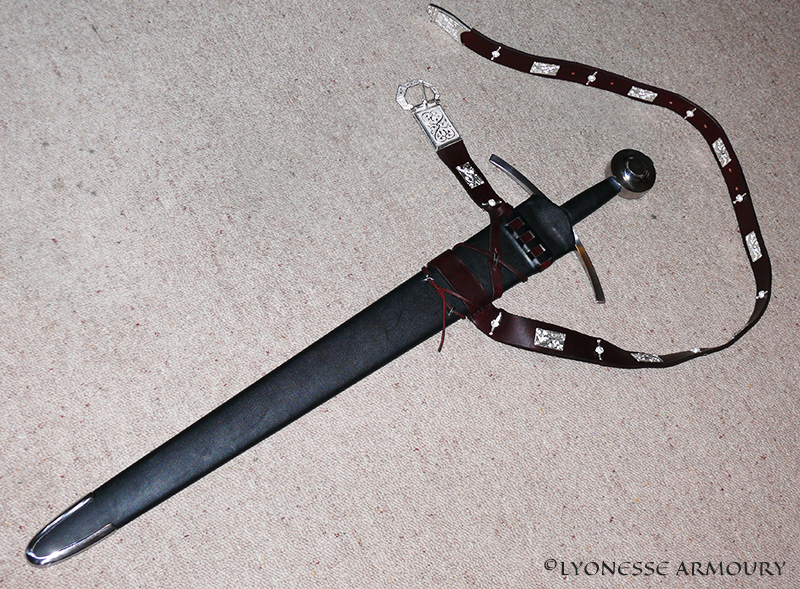 Spring steel blade, mild steel hilt fittings, wood and leather grip. The multiple fullers are more for appearances and decoration than to remove any great weight from the blade. 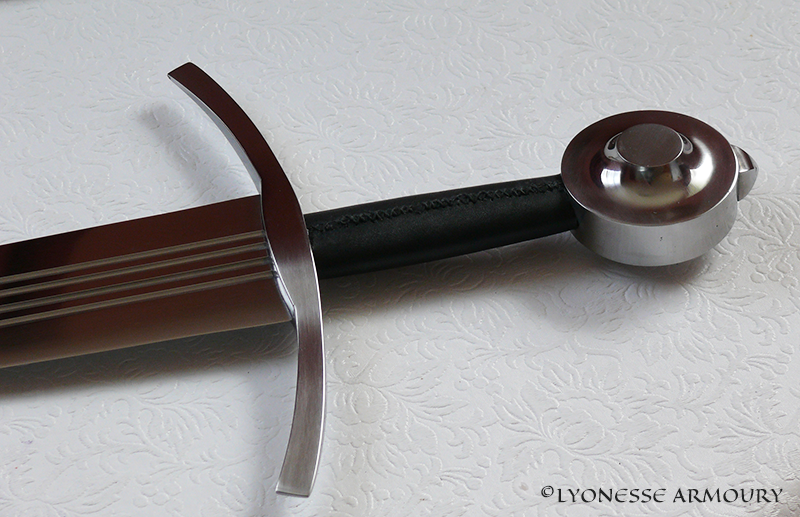 The Oakeshott Type XIV is quite light and nimble despite the wide blade. This is thanks to the distal taper, so the blade is 5mm thick at the cross but only 2.5mm thick near the tip. The blade remains reasonably stiff thanks to the lenticular cross section, which also creates a very sharp edge that would deliver fearsome cuts. The very large pommel is actually hollow in order to get the balance and weight correct, and is only half the weight it appears. This was common in this period, so the original is possibly also hollow. 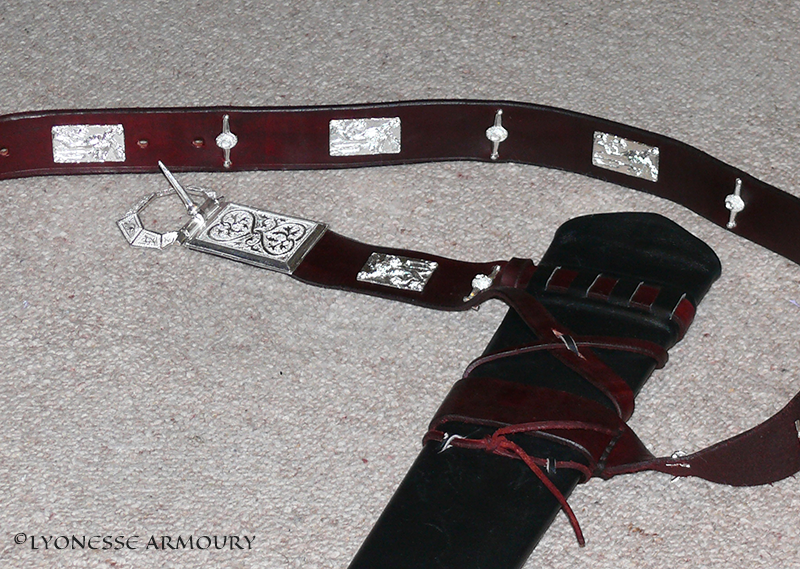 The scabbard and belt are based on the style of the period: the original sword had no scabbard. 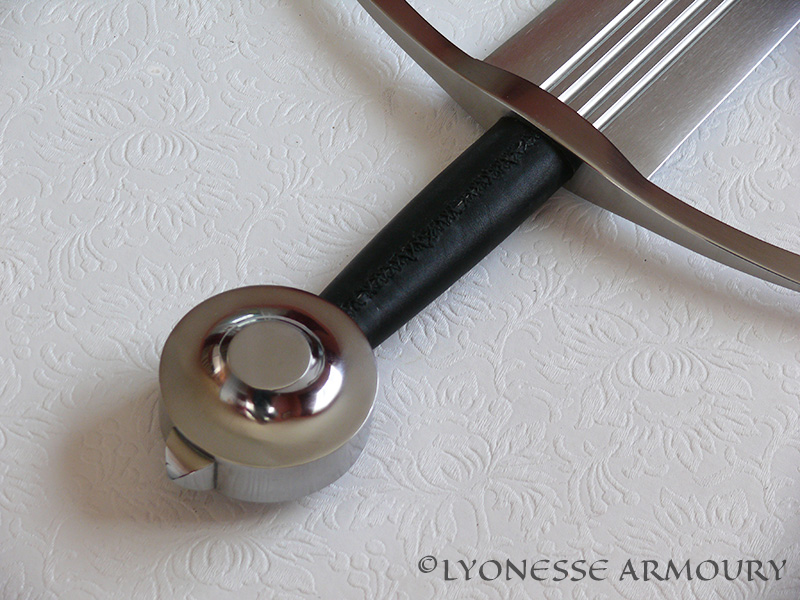 The scabbard fittings are silver plated bronze, bought from a specialist who makes these parts.